Dr. Waljee is an Associate Professor in Internal Medicine – Division of Gastroenterology at the University of Michigan. He is also a Staff Physician & Research Scientist and Director of the Inflammatory Bowel Disease Program at the Veterans Affairs Ann Arbor Healthcare System. Dr. Waljee received his medical degree from Emory University and completed his residency at the University of Michigan. He completed his Gastroenterology Fellowship training at the University of Michigan and has been a faculty member since 2009. 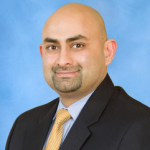 Dr. Waljee is a member of the Institute for Healthcare Policy and Innovation (IHPI) and Associate Director of the Michigan Integrated Center for Health Analytics and Medical Prediction (MiCHAMP). Dr. Waljee’s research focuses on how best to deliver high-value care to patients requiring treatment with novel, costly subspecialty medications. With healthcare budget constraints and the emergence of costly new medications, it is essential to identify better methods to deliver high value care and simultaneously contain costs. Dr. Waljee is currently investigating how best to deliver treatment for Hepatitis C as well as other diseases requiring ongoing costly medications (e.g., treatment of inflammatory bowel disease with biological therapies, treatment of high-risk cardiovascular diseases with PCSK9 inhibitors) and working to identify appropriateness of care (e.g., targeted cancer screening) using prediction modeling.